Qeshm is the biggest island in the Persian Gulf. Due to its natural beauty and cultural importance, Qeshm hosts a great number of visitors each year. 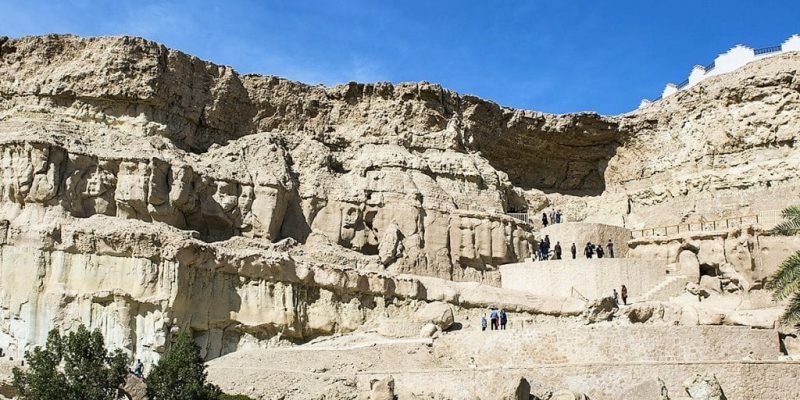 An Iran tour package for Qeshm usually includes visits to Stars Valley, Chahkooh Canyon, and Naz Island, where tourists can enjoy the natural grandeur of Qeshm. For those interested in Iran cultural tours , Portuguese Castle, Tala Historical Wells, and Qeshm Old Bazaar are the top destinations. 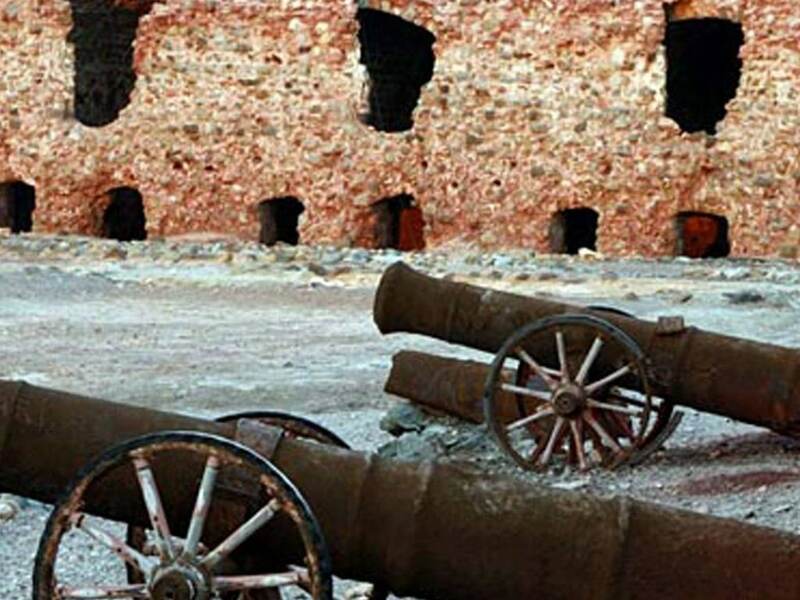 Qeshm Island is a great place to visit for both nature lovers and those interested in history. 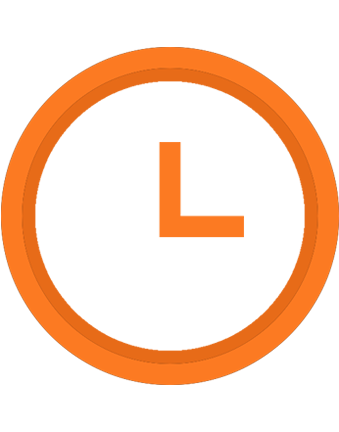 Furthermore, since the island is located in a free trading zone, it is a suitable place for those looking to do some shopping. 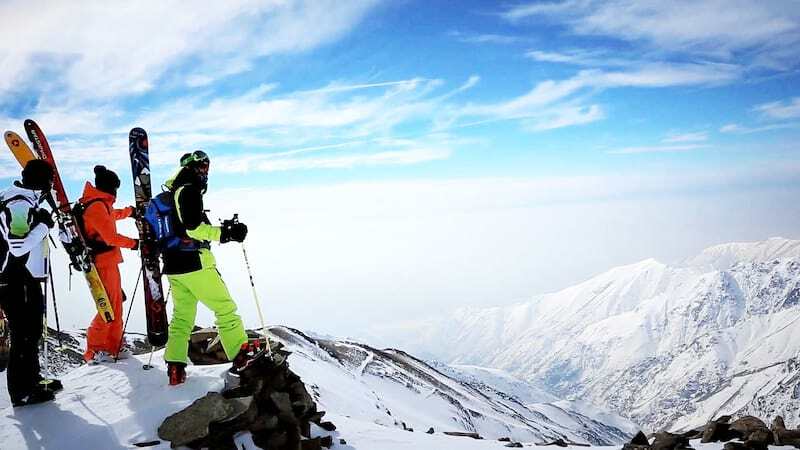 The region is also well-known for its exquisite cuisines most of which are based on the ingredients caught from the nearby Persian Gulf; as such, visiting the island is a great opportunity to experience a unique aspect of Iranian food culture as well. You cannot use buses for public transportation in Qeshm, so there is no Qeshm bus map. If you are using an Iran tour package, though, your travel agency might provide you with buses to get around the island. Although Qeshm is the biggest island in the Persian Gulf, it is still not quite big enough to justify the costs of building a metro network and so you cannot find a Qeshm metro map. Besides, there are enough taxis on the island to make metro unnecessary. Taxis are the main means of public transport on the island. Taxi service in Qeshm is available all the time and the prices asked are affordable even for the most budget-conscious passengers. You can use a taxi app in Qeshm to call for a taxi easily. The service is available 24/7 and the prices on offer are competitive. Refer to your Qeshm Island travel guide for information about how to install the required apps. 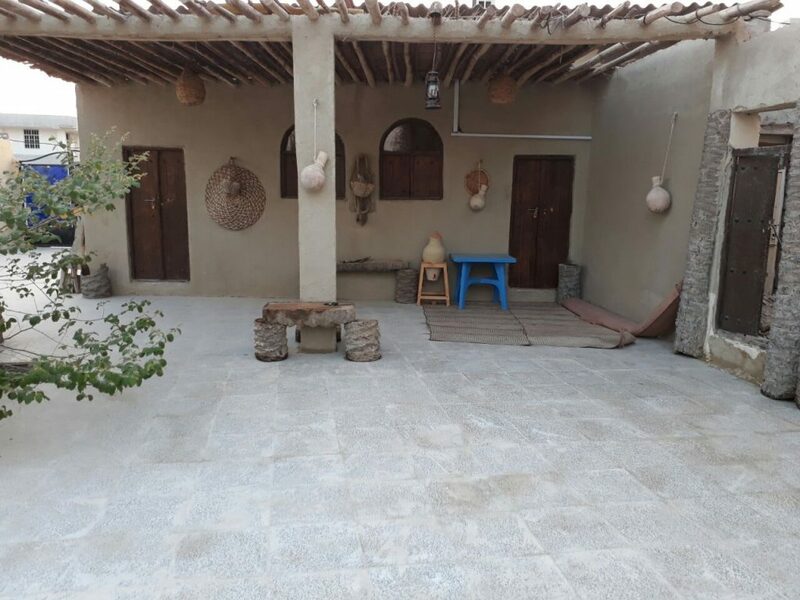 There is a lot to see in Qeshm for both those looking to enjoy the beauties of nature and those who want to get familiar with the region’s history. Stars Valley, Qeshm Geopark, Mangrove Forests, and Chahkooh Valley are the best places on the island to enjoy nature. 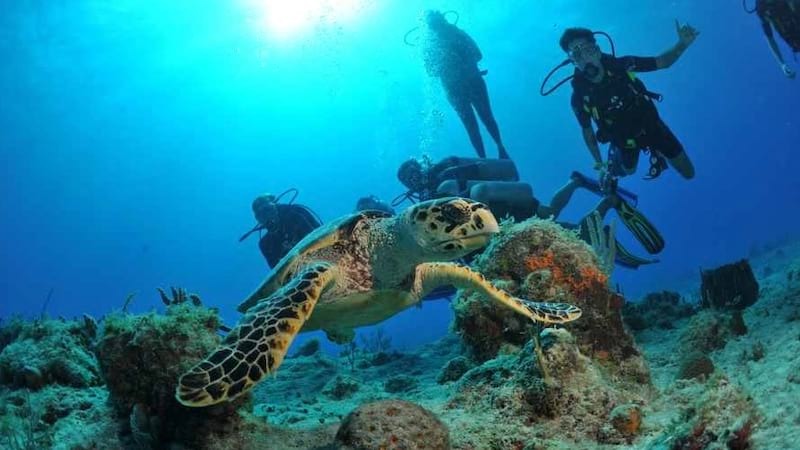 If you are looking for something a bit more adventurous, you can try flying with a paraglider or diving in the island’s clear waters, which are ripe with sea life. As for historical sites, Portuguese Castle, Tala Historical Wells, and the many old cemeteries on the island are your best options. Use your Qeshm Island travel guide for more information. 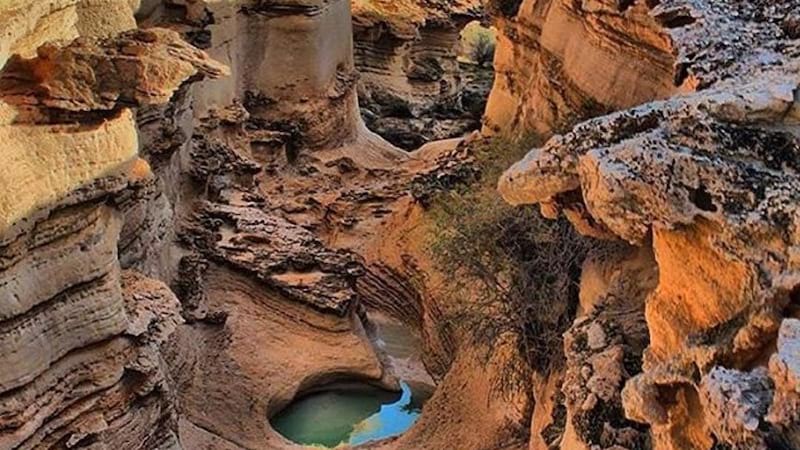 Part of Qeshm Island’s geopark, Chahkooh Canyon Qeshm is a magnificent demonstration of natural erosion. 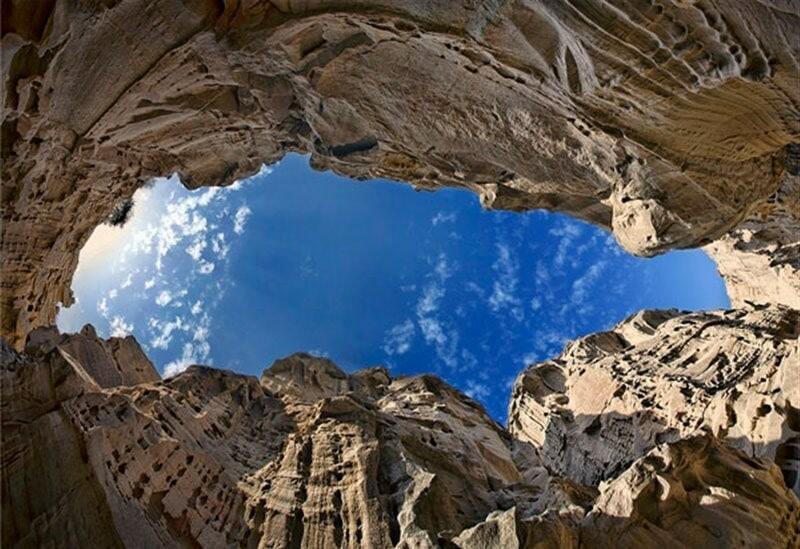 If you are on a photography tour in Iran, you will find many great opportunities for photography in this canyon. The canyon’s night sky is also one of its many attractions. 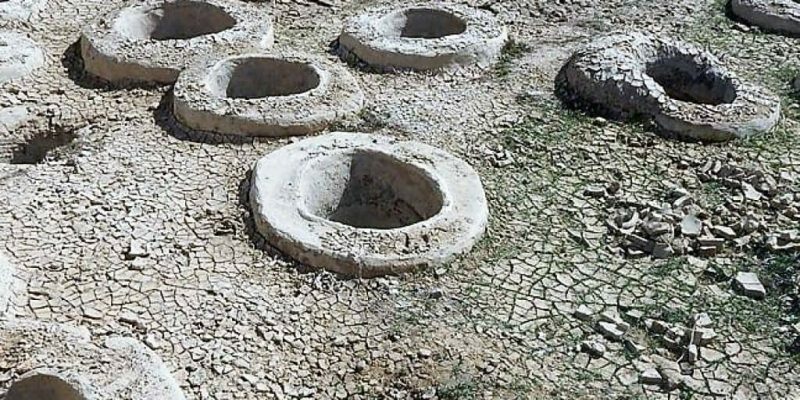 Dating back to four hundred years ago, Tala Historical Wells form a water supply network, which, given the region’s dry climate, were of great assistance to the people living on the island. The sloping hills around the wells would cause the precious rainwater to be gathered and stored in these wells. Tala historical wells are among the places that tourists on Iran sightseeing tours visit when they are on the island. 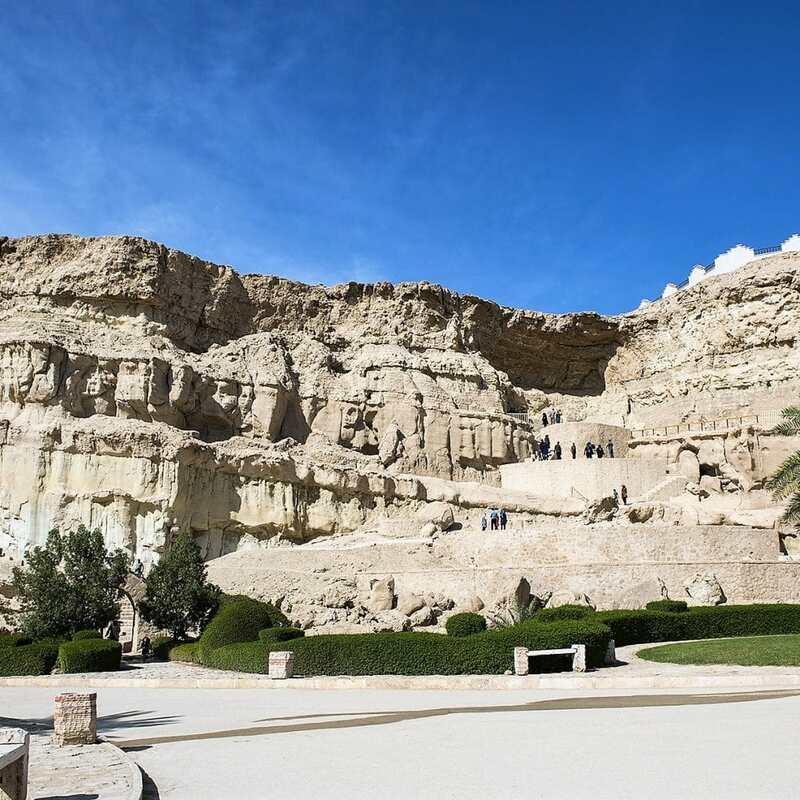 If you travel fifteen kilometers from Qeshm City, you can visit Khobas Caves, which consist of a network of interconnected corridors and small rooms that were used by ancient people from the Sasanid era as a temple to Anahita, the goddess of water. Many forms and statues carved in the stones by these people can be found at the caves. 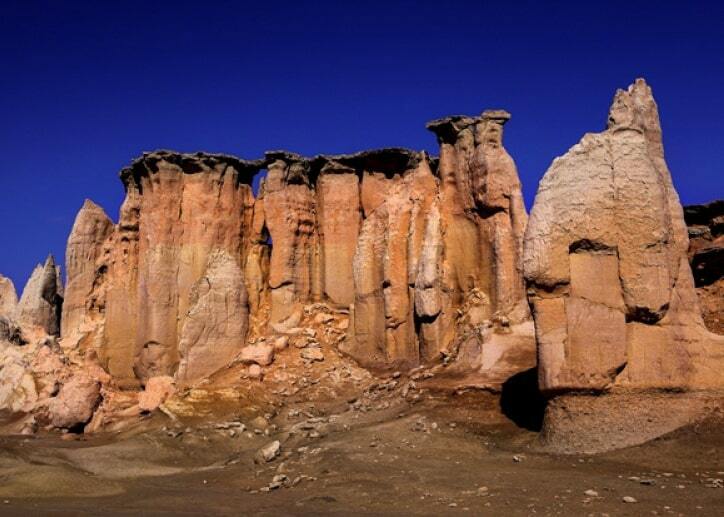 The local legend about the Stars Valley Qeshm is that in old times a number of stars fell from the sky in this area and made the strange forms and shapes which can be seen in the rocks today. 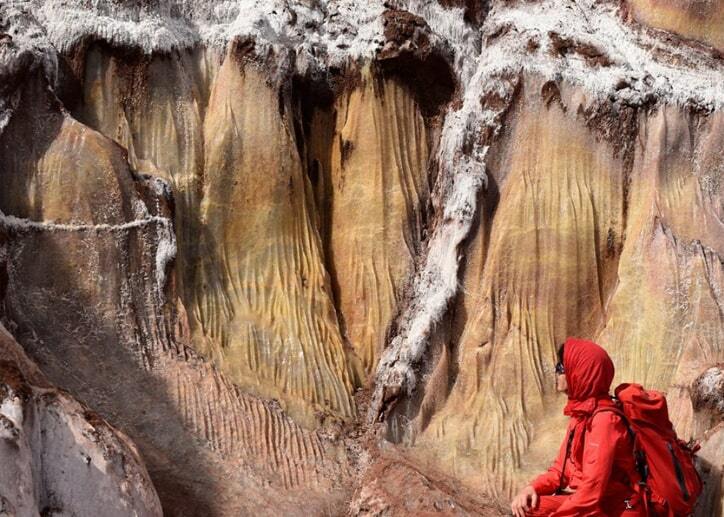 In reality, these strange shapes have been made by the natural erosion caused by wind and water over many years. Whatever the cause, if you are on one of the sightseeing tours in Iran, Stars Valley Qeshm will be among the top recommendations in your Qeshm Island travel guide. From Qeshm Island you can take a boat and travel to Hormuz Island. The most conspicuous characteristic of this Island is its red soil, but its beauties do not end there. 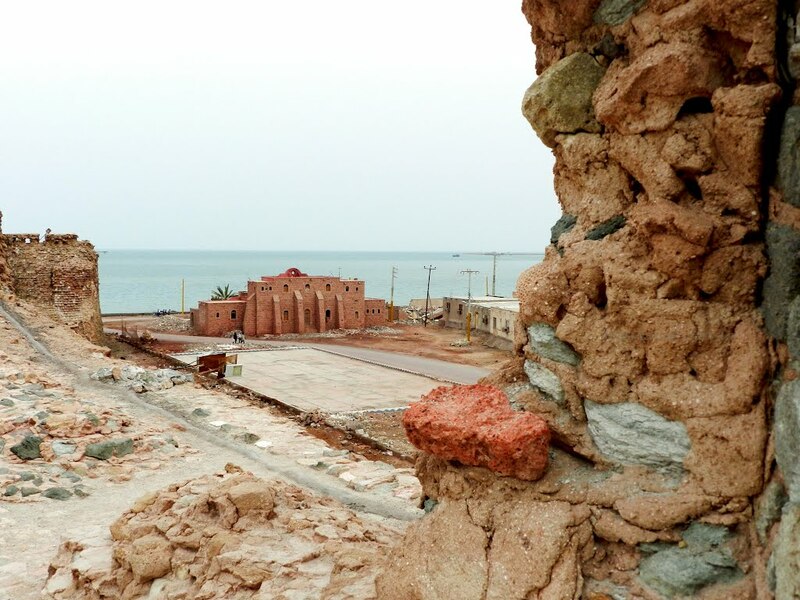 The Salt Goddess, the Valley of Statues, a four-hundred-year-old castle, and Nadalian Museum are some of the other tourist attractions you can find on Hormuz Island. 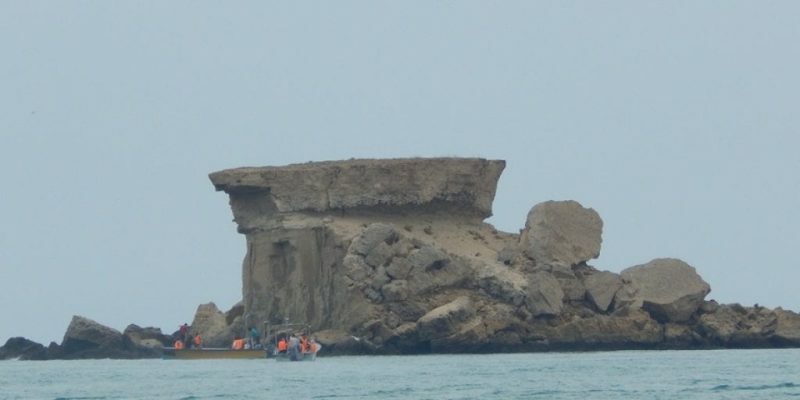 Hengam Island Qeshm is located on the southern side of the main island and you can easily reach it by boat. 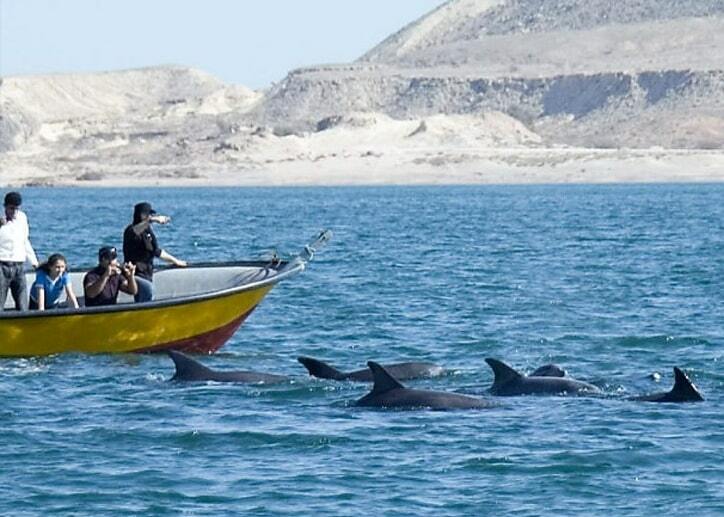 Watching dolphins play in the Gulf, enjoying the beach, visiting the grounded Portuguese ship, and savoring the region’s unique Iranian food culture are among the most popular activities on Hengam Island Qeshm. 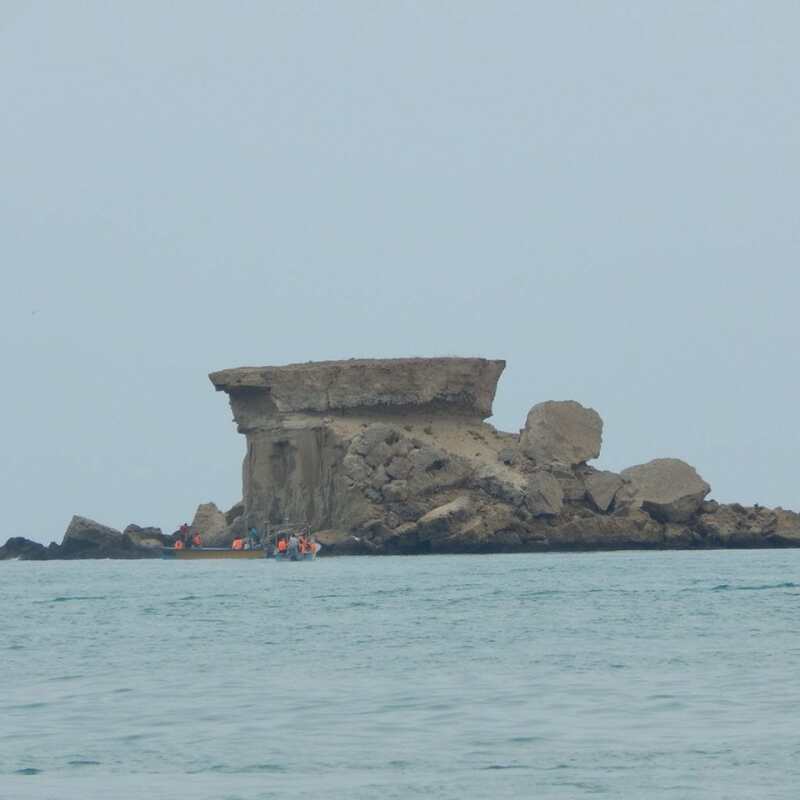 Naz Island Qeshm is located on the eastern side of Qeshm. During the low tide, you can walk as long as one kilometer into the sea from this island. Other popular activities on the island are going on off-road rides, riding horses and camels on the beach, parachuting, and diving. Located on the northern side of the island, Portuguese Castle Qeshm is a five-centuries-old castle built by a Portuguese seafarer. It includes an armory, a water reservoir, barracks, a prison, a church and a headquarters, and a great hall. 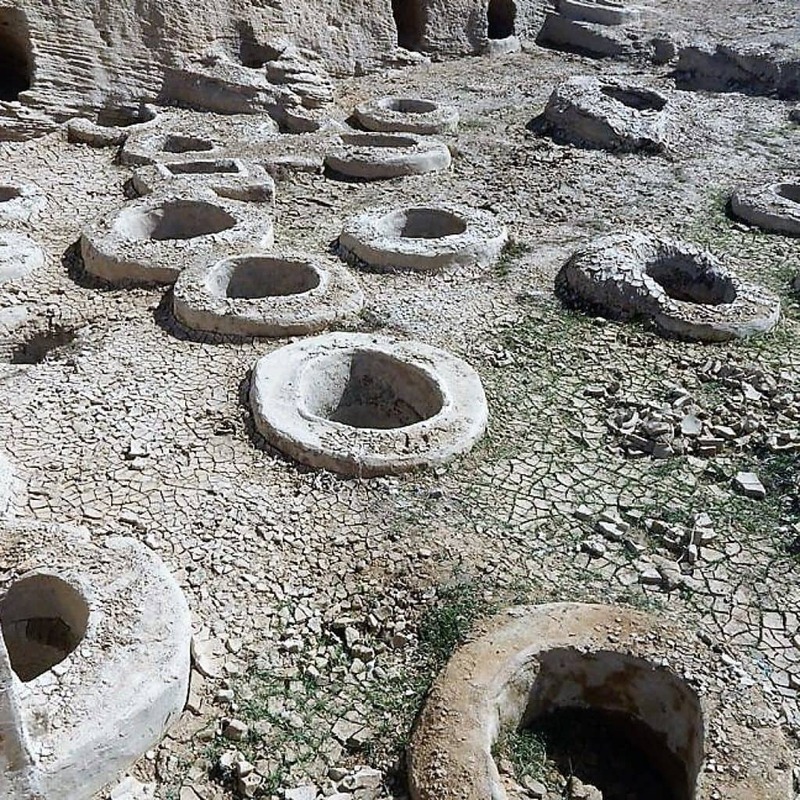 Cannons, Venetian glassworks, and cooking and eating utensils are among the artifacts discovered during the excavations in Portuguese Castle Qeshm. 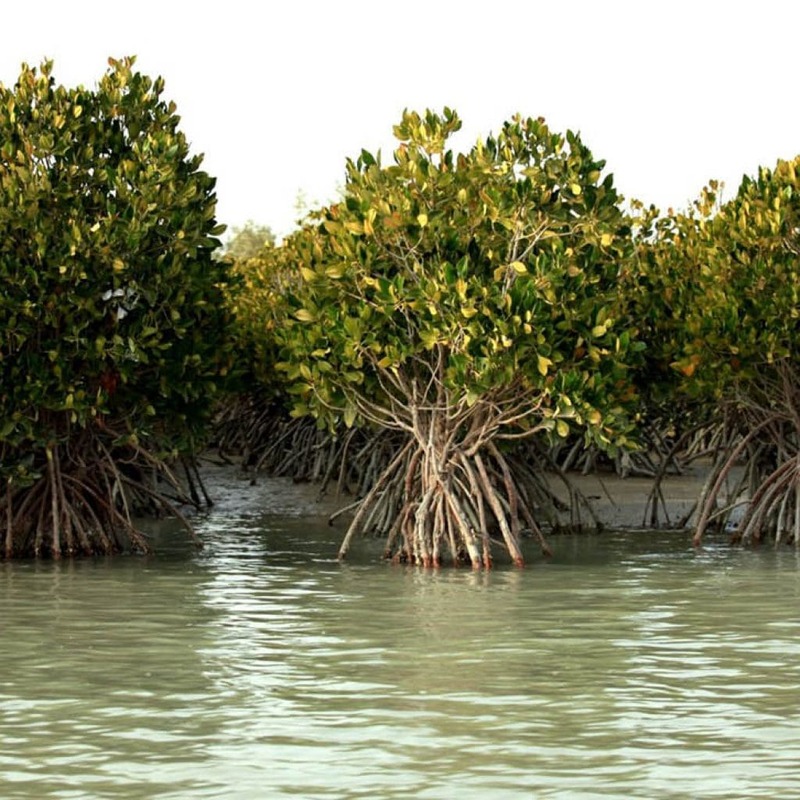 The mangrove forests of Qeshm are an important part of the region’s biome. They are home to a great number of unique plants and animals whose life depends on these forests. In addition to their environmental importance, they have also become popular tourist attractions in recent years. 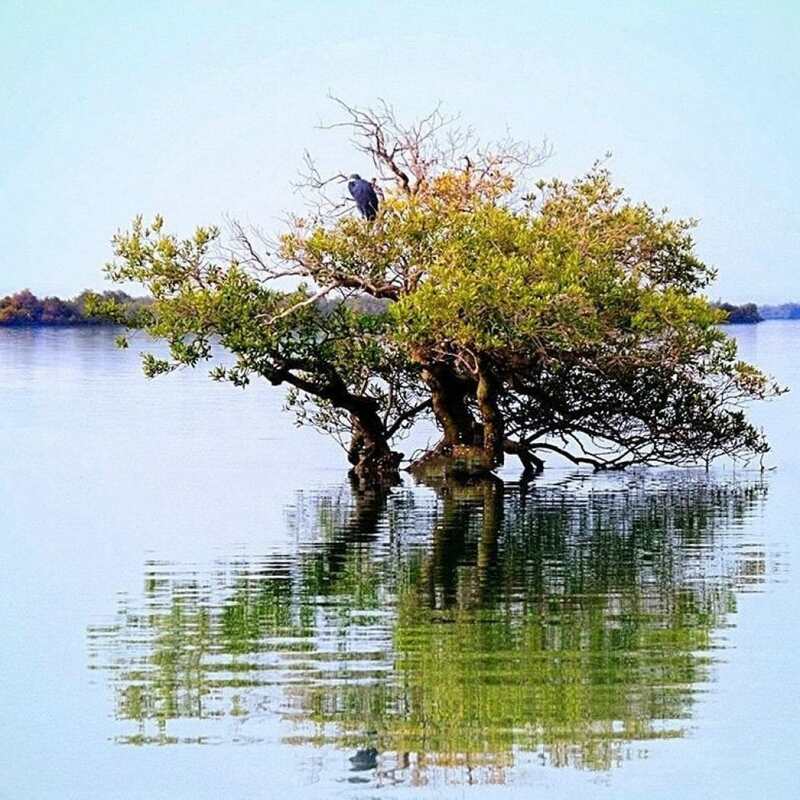 Those on Iran bird watching tours those looking for a photography tour in Iran will have a great time at mangrove forests of Qeshm. Located in Salakh village, Zinat Rituals Garden provides a great opportunity for tourists on Iran cultural tours. 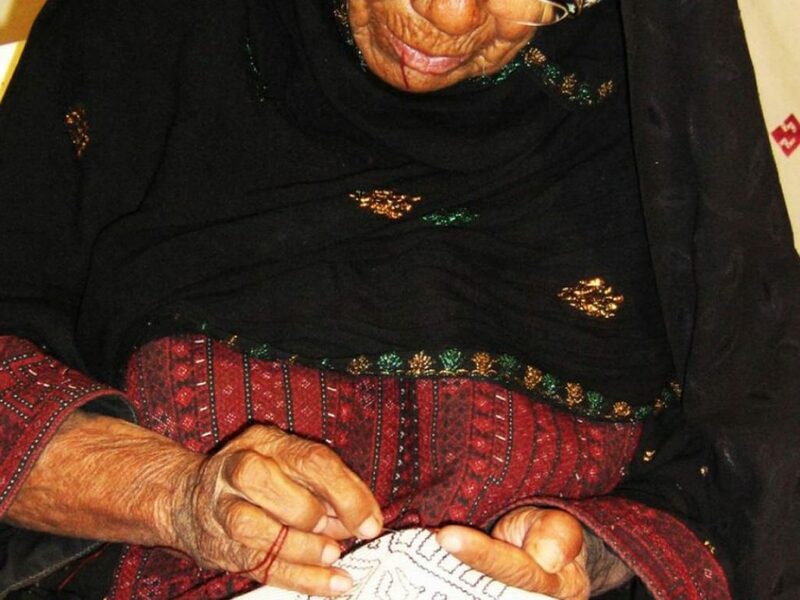 Visitors live among the residents of the village, experience Iranian food culture, and can shop for a souvenir of Iran in the shops where local handicrafts are available. 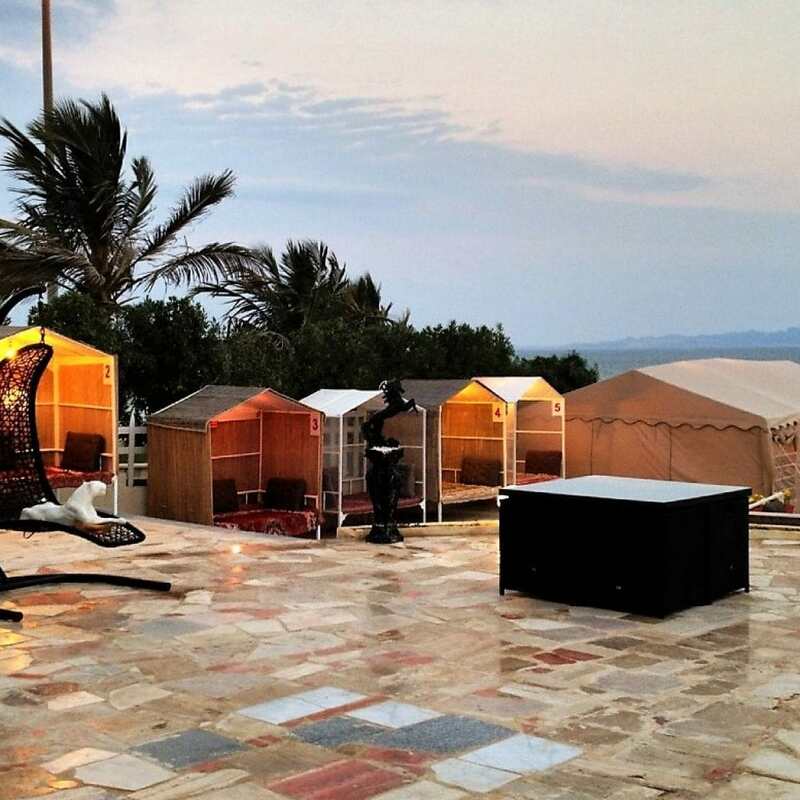 Zinat Rituals Garden is one of the top recommendations in any Qeshm Island travel guide. Qeshm Old Bazaar is where most locals go for their shopping, but tourists can visit the bazaar to soak in its atmosphere and enjoy the hustle and bustle of everyday life on Qeshm Island. Furthermore, if you are looking for a souvenir of Iran, Qeshm Old Bazaar is the best place for your shopping. Most of the hotels on the island are located near the old bazaar, which makes it a convenient place to visit for tourists. Whether you are looking for international dishes or traditional Iranian food, you can find great restaurants in Qeshm. Ghal’e Restaurant only uses the freshest ingredients from the fishing market on the island. Khaleh Restaurant is the best place to go if you want a taste of authentic Iranian food culture . 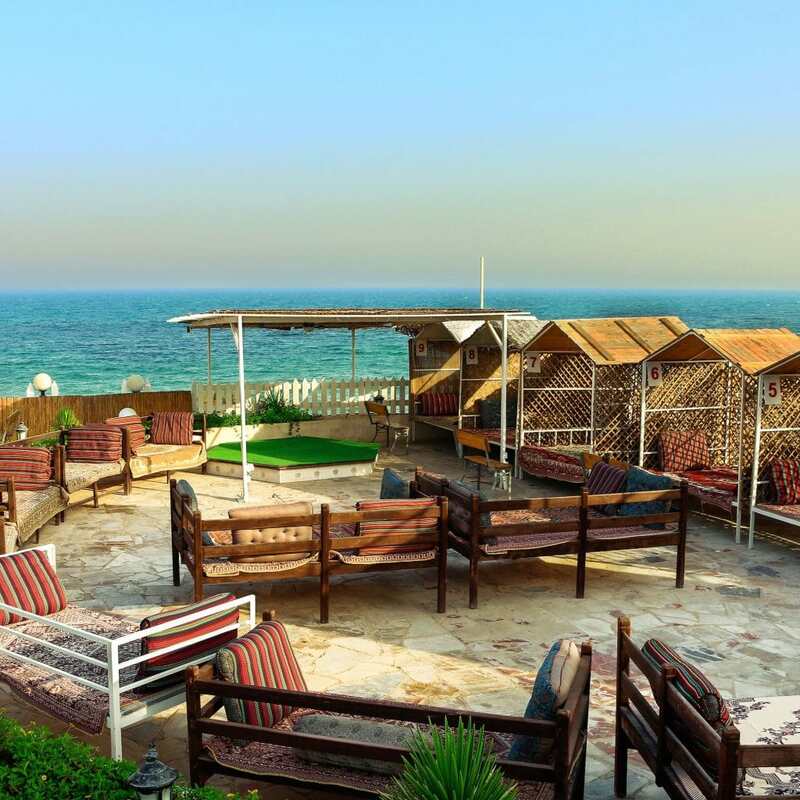 There are many international restaurants and fast food joints in the city as well, which you can find in your Qeshm Island travel guide. 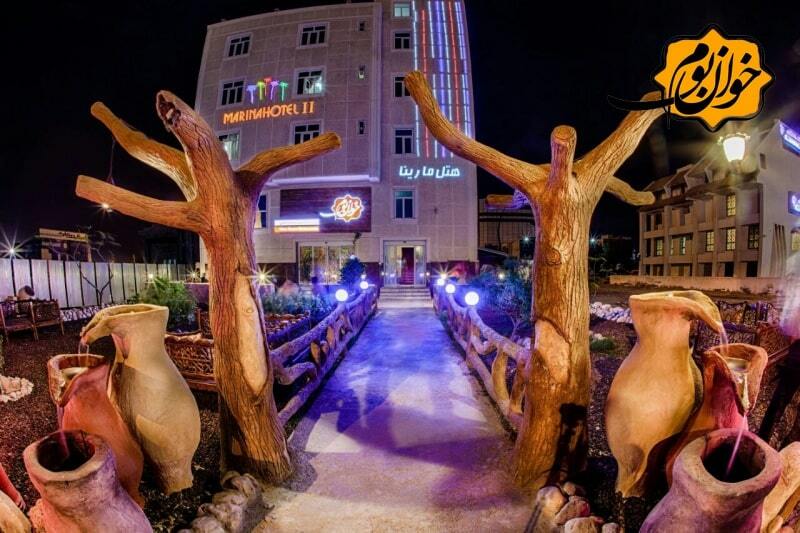 Located near Zeytoon beach, Shabhaye Talaei Restaurant provides all types of high-quality dishes for its guests. 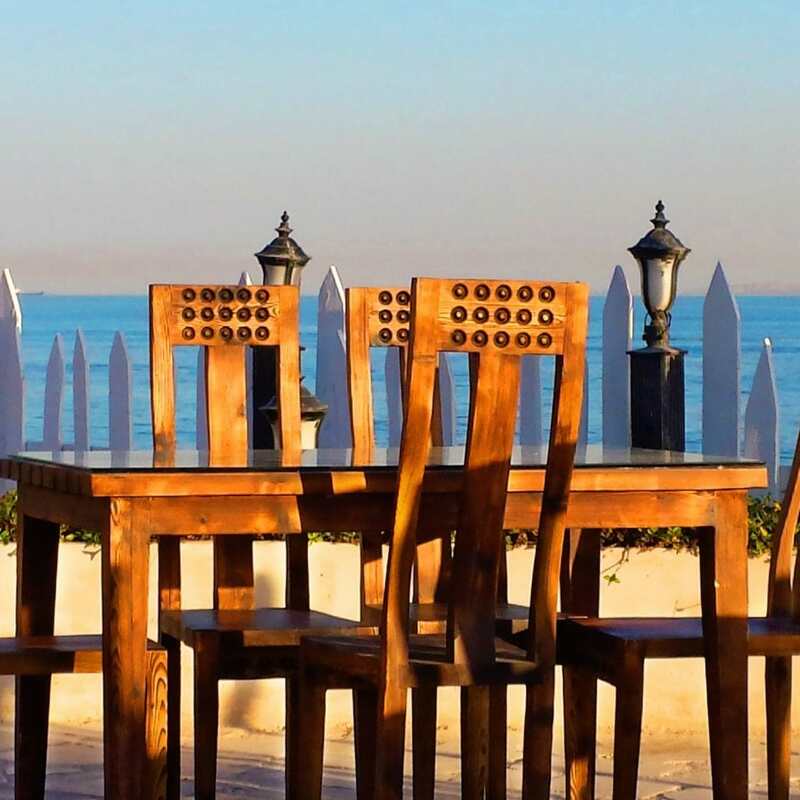 You can find traditional Iranian dishes like kebabs and the local seafood cuisines, in addition to the usual fast food and international dishes, while enjoying a great view of the sea. Khanboom restaurant is one of the most famous establishments on the island. The restaurant’s unique decorations are the main reason for its fame. Seafood, fast food, and traditional Iranian food are on the restaurant’s menu. 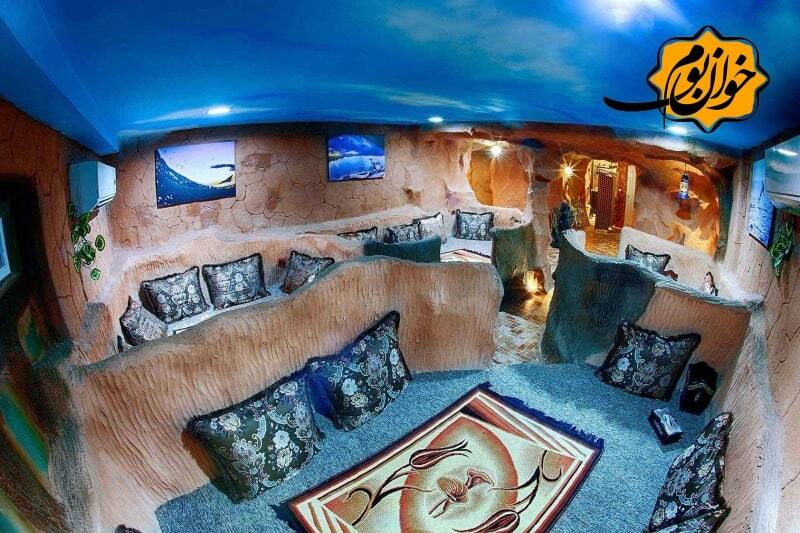 You can also visit the coffee shop, where all types of Iranian tea and hookahs are available. Khanboom restaurant provides a great opportunity for visitors to get a taste of Iranian food culture. Since Qeshm is a free trading zone, you can find many shopping malls on the island. All kinds of goods from clothes to electronics can be found in these malls at reduced prices. Some of the better-known shopping malls on Qeshm Island are Setareh Shopping Center, Pardis Mall, Ferdowsi Mall, and Qeshm City Center. Qeshm City Center is one the most luxurious malls on the island. No matter what you are looking to buy, you will probably find it in this mall at a competitive price. On top of the many stores, Qeshm City Center has a food court, an indoor amusement park, and many more facilities. It is one of the best places for shopping when you travel to Iran. 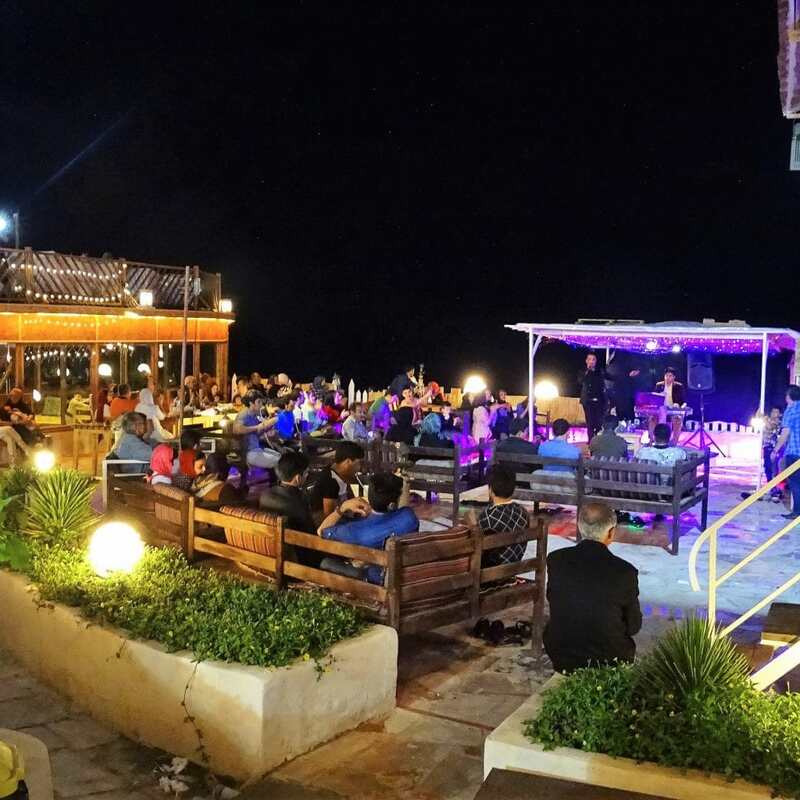 Qeshm Island is known as a center of the tourism industry in Iran, and there are many hotels on the island that can accommodate guests on any kind of budget. Ataman Hotel and Eram Hotel are the most luxurious and expensive ones on the island. 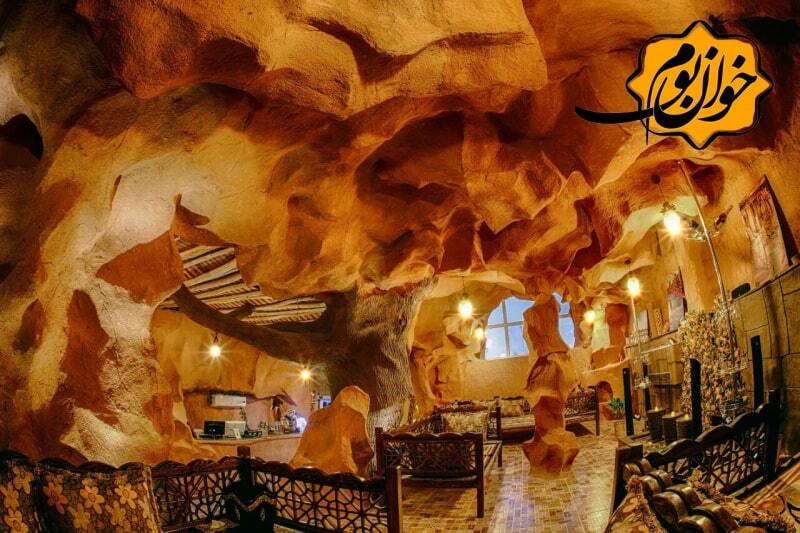 For something more modest, Marina Hotel and Qeshm Geopark Hotel are suitable options. Qeshm Island is one of the tourism hubs of the country and Qeshm International Airport is one of the busiest airports in the southern part of Iran. Over four million passengers go through Qeshm International Airport each year. The airport has played a pivotal role in Qeshm Island’s growth.